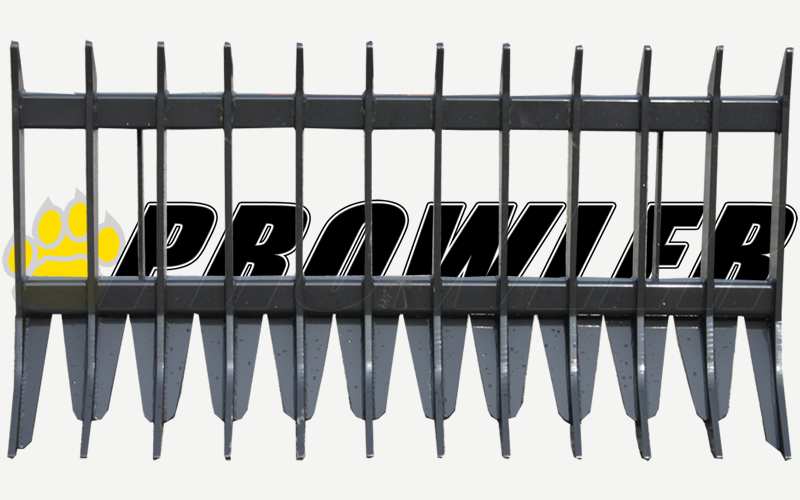 Prowlers Extreme Duty Root Rake is excellent for rolling debris into a tight piles for removal. 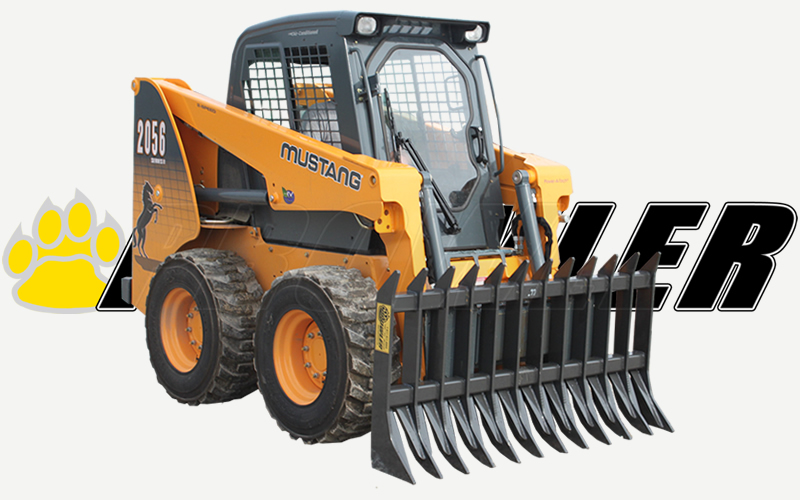 You can easily remove large rocks, roots and other objects buried just below the surface. 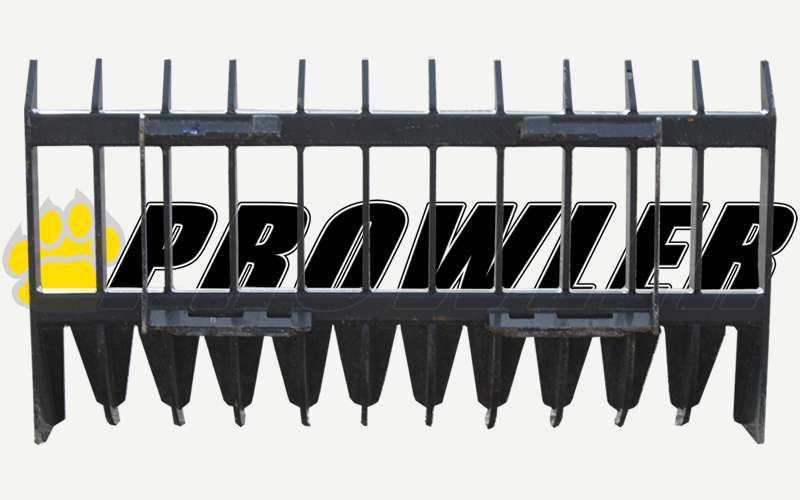 The tines are made from top quality 5/8″ steel and spaced 6″ on center. These are nice OEM quality units. 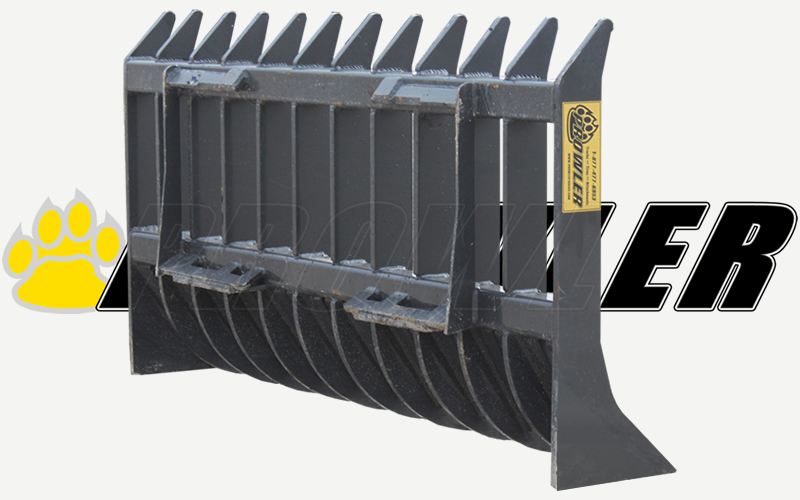 Complete with skid steer style universal quick attach, flat face couplers, and a Powder coated finish. 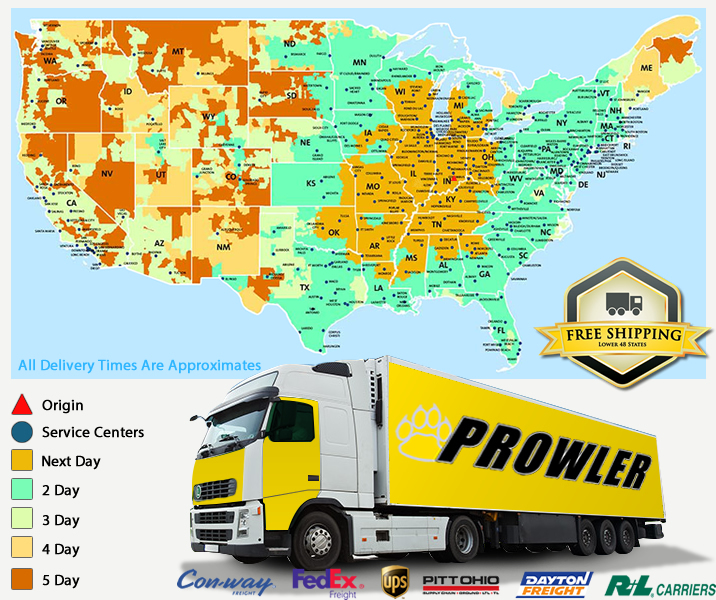 This attachment is 100% American made!